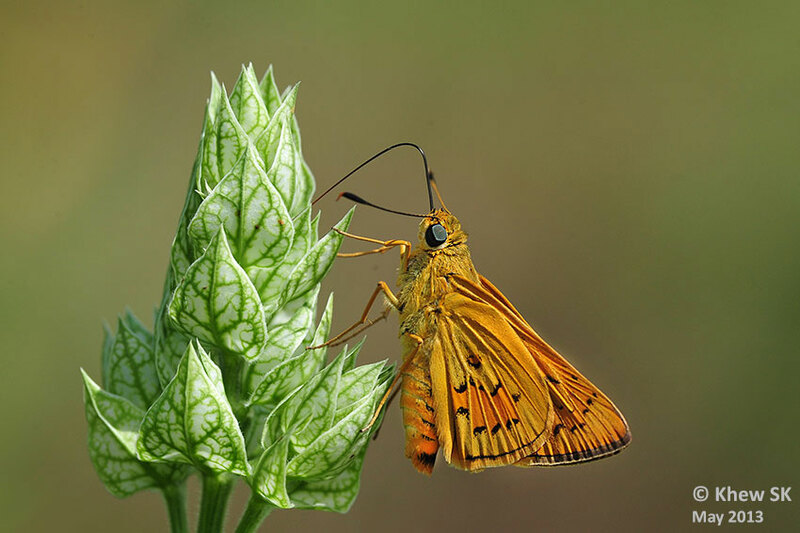 This new immigrant to Singapore appears to be a resident skipper at Gardens by the Bay, having been seen in several locations around the gardens. It is not surprising to find the species here, as its caterpillars feed on a variety of palms, amongst them the common Coconut (Cocos nucifera), Livistonia sp. and Cyrtostachys renda. These palms are likely to be cultivated at Gardens by the Bay, and would provide this species with adequate host plants to continue to survive in that location. This Yellow Palm Dart was photographed near the Meadow area of GB, where there are butterfly host and nectaring plants cultivated. 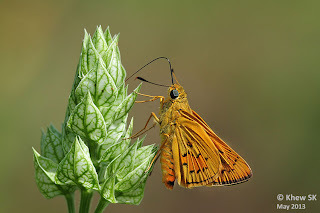 The skipper is skittish and fast-flying when on the move, but can often be seen perched and resting with its wings folded upright, showing off its attractive orange undersides.